The Russian military prizes disruption and deception to overcome foes which may be technologically more advanced — a practice dating back to before World War II. Today, the Russian army is increasing training in the old-fashioned art of planting mines behind enemy lines. One Russian formation in particular is a specialized mine-laying company attached to the 1st Guards Engineer-Sapper Brigade, which traces its history back to World War II, and which served in both Chechen wars. The brigade is based in Murom, 160 miles east of Moscow. The specialized company — comprised of several dozen soldiers — are divided into vehicle teams equipped with GAZ Tigr armored jeeps. 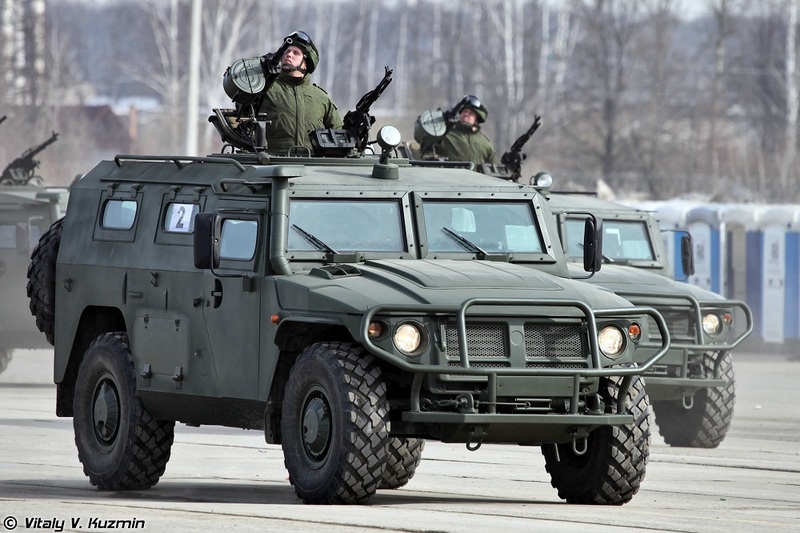 The Russian army adopted the eight-ton, 4×4 Tigr in 2006, and uses it in a similar role to the American Humvee as an off-road reconnaissance, transport and special operations vehicle. The company’s job, in the event of a conflict, is to race into enemy territory with jeep-loads full of mines. Russia is one of the few states in the world which still produces anti-personnel land mines. China is another major manufacturer. The United States does not make them, but is the only NATO country not party to the Ottawa Treaty which specifically prohibits them. The U.S. military still possesses more than one million anti-tank mines, and continues to use the anti-personnel directional M18 Claymore mine — but that is used very differently from the plant-and-forget mines of the kind that Russia produces. The U.S. Army’s Foreign Military Studies Office, which closely follows Russian army developments, took note (.pdf) of Russia’s developing mine-laying companies, citing the newspaper Izvestia. “These subunits are intended not for comprehensive minelaying of terrain, but for pinpoint, clustered application,” the Russian paper noted. The Russian military is especially proud of extra gadgets that help the engineers trigger the mines remotely, including thermal and optical sensors feeding imagery to remote-control tablets. “The Russian military continues to enhance its ability to employ mines both in defensive … and in offensive operations,” the Foreign Military Studies Office stated. One of the most lethal Russian mine developments is an anti-tank “top-attack” mine that launches into the air when near a tank, directing a charge toward the targeted vehicle’s thinner, top armor — using a thermal seeker to track and attack. The minelaying company in the 1st Guards Engineer-Sapper Brigade isn’t a one-off, either. Russia wants to add minelaying companies to more engineering battalions.